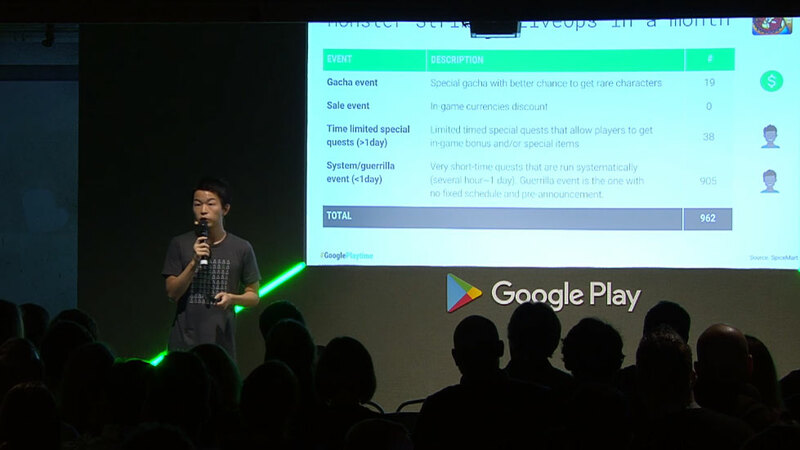 At the recent Playtime EMEA 2017 event, Chongsa Kim, the Head of Games Business Development at Google Play's Japanese division, shared some fascinating insights into how Japanese game manage to monetize their smartphone games so successfully. 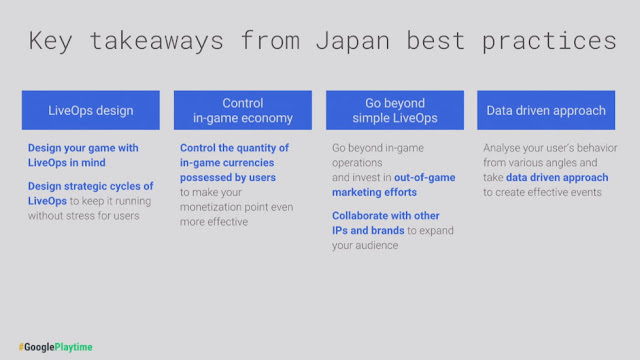 Japan's approach to smartphone games, Kim says, comes down to something called "LiveOps". Smartphone games that need to update their game client each time they want to engage with their users rarely find success. They suffer from what is referred to as the "Shark Fin" problem. This refers to a situation where a spike in user activity takes place each time the developer updates their game client and delivers new content, but this activity quickly dies down afterwards because it cannot be sustained--as following through with more content would require yet another update. Since smartphones are always connected devices, developers should ideally design their games in a way that they can engage with users for long periods of time without the need for a client-side update each time. This would mean you release a Content via a client update, and then follow through with Events and limited time Sales via server-side changes that do not require another client update. 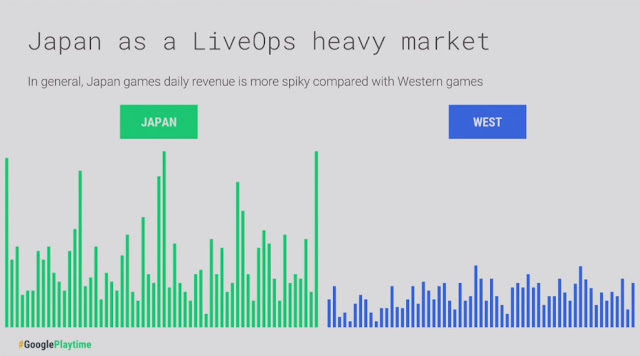 In Japan, the daily revenue of smartphone games sees frequent fluctuations due to the fact that Japanese developers focus heavily on the LiveOps aspect, and are generally very good about constantly pushing Events and other activities out to players. One of the ways Japanese developers maintain user interest is through the Gacha monetization mechanic, which the Western world now knows better as "loot boxes"—a mechanic where you open a virtual box containing random items, and hope you find a rare or valuable item within. Gacha is a trait that all of the top-grossing Japanese smartphone games have in common, due to the fact that it is easy to implement into Events and time-limited Sales. 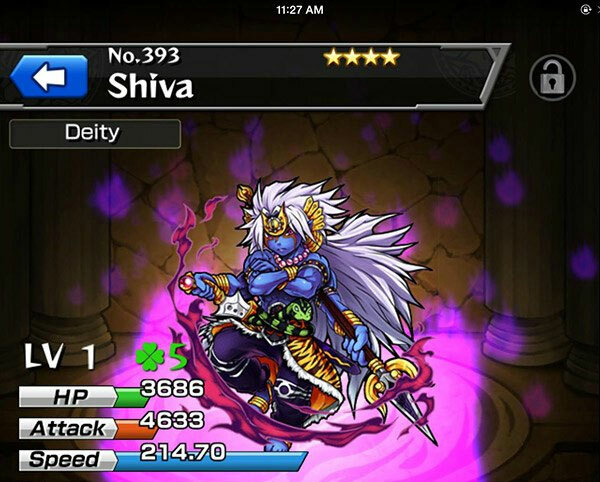 On a day-to-day basis, Gacha is what sustains most Japanese smartphones games and brings in revenue. To give you an idea of Japan's heavy focus on LiveOps, an unnamed top-grossing game in Japan ran 1,028 Events in the month of March 2017 alone. While it didn't find success in the West, Monster Strike was among Japan's top-grossing smartphone games for the longest time and it sees close to 1,000 LiveOps Events in a month. These Events are distributed across Gacha events, Sales events, time-limited Quests (which run for a few days) and "Guerrilla Events" (which only last a single day). 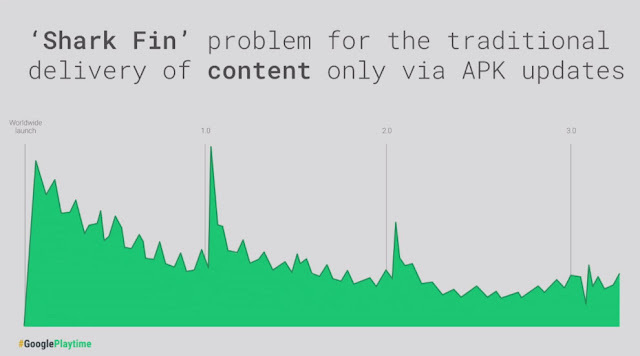 The chart above illustrates exactly how many instances of each of these events Mixi, the game's developer, runs. Note that the number of Guerrilla Events—which instill a sense of urgency in players—is extremely high. This is possible because Mixi have an extremely well-planned system in place for Monster Strike's Events. They create a plan for Yearly, Monthly, and Daily events, and have a system in place that automates their events to a great degree without the need for frequent manual intervention by a dedicated LiveOps team. Since Monster Strike is a character-collection game, the best content for monetization is usually rare, "Legendary" characters. These characters have high stats and great skills, and Mixi runs events for these characters every three months. Once in three months, according to Mixi, is the magic number. It ensures that Legendary characters don't come around too frequently, and also keeps users from feeling overwhelmed by giving them the sense that they're constantly trying to play catch up. 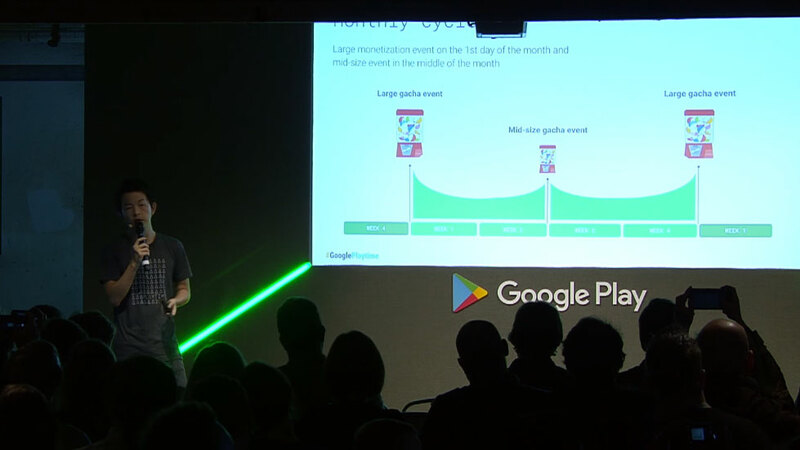 In terms of monthly events, Monster Strike sees a large monetization event on the first day of each month, and a mid-sized event in the middle of each month. Furthermore, Mixi has user habits down to a fine science. They typically tend to deploy Gacha events around lunch time, because they want users to be able to acquire Monster Strike characters and then show them off to their friends at school or work, which encourages more people to get into the game. On the other hand, Quest events—which require some level of concentration—are typically deployed around dinner time, because users then have more time and focus to devote to the game. Beyond this, Mixi also makes sure to keep an eye on how much in-game currency Monster Strike players are holding on to in the game. Let's say the game has a major monetization Event coming up. If users are holding on to too much in-game currency, they'll just spend that instead. 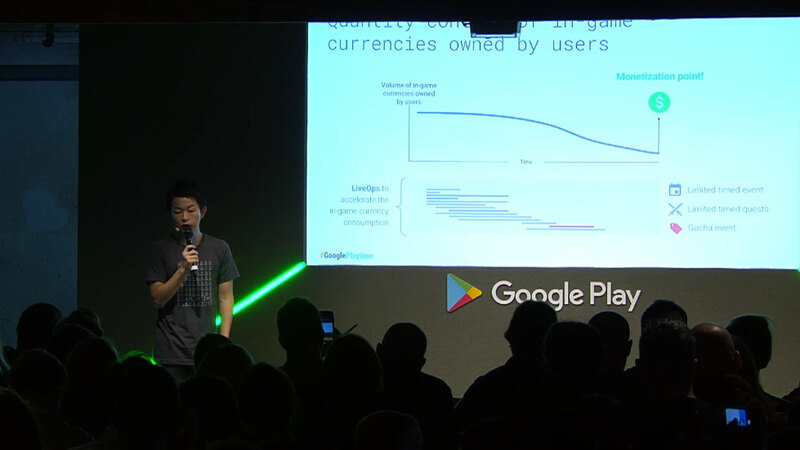 So, in order to ensure users actually spend money, Mixi carefully monitors how much currency the game's users are holding on to, and encourages them to spend it prior to the big monetization event, through smaller events. Japan also has a tendency to advertise their smartphone game events through TV commercials and YouTube commercials. Mixi, for example, will release a commercial and YouTube trailer for a new character and let influencers begin talking about it prior to the start of the character's Event. Finally, Mixi also hosts Events in collaboration with offline, non-game brands. 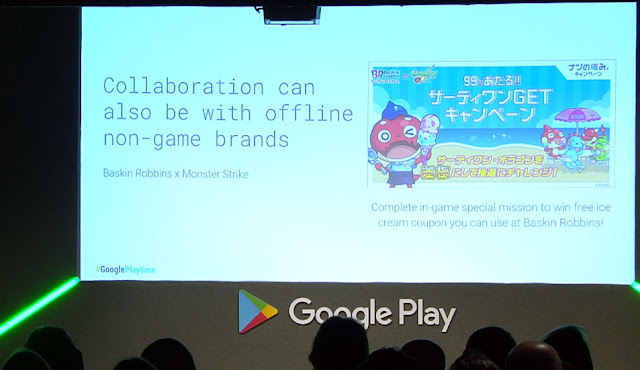 In the case of the event above, a special in-game mission was held within Monster Strike that would allow users to win a free ice-cream coupon that could be used at Baskin Robbins outlets in Japan. This is a mutually beneficial arrangement for both parties. Mixi gets to incentivize users to participate in a Monster Strike event, while Baskin Robbins sees exposure to users of the game and potentially experiences increased customer visits as a result. Above is a summary of the key takeaways from Japan's approach to LiveOps and operating smartphone games successfully. There are more insights and case studies to be found in the full LveOps presentation by Kim, and you can view it in its entirety below.